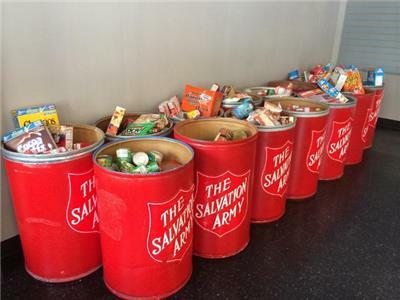 The Salvation Army is asking the public to help provide items for their homeless day shelter. Officials said they are completely out of trial sizes/hotel sizes of soap and shampoo, and are also in need of toothpaste, toothbrushes, razors, shaving cream, and deodorant. All items can be donated to The Salvation Army, 800 McCallie Ave., or donations can be made to csarmy.org. "Folks could also order these items online and have them shipped to our address. We also have red barrels where folks can collect at their offices or churches. So many of us travel and have these items from hotels at home already," officials said.